Now available up to 300 Amps. Available in ratings from 25 to 300 Amps, the 17 Series offers a robust thermoplastic material case enclosure, designed with superior moisture sealing, in standard surface and panel mount configurations, along with new Side By Side Surface and Easy Access 90° Panel Mount designs. Each configuration is available with 1/4” terminal studs, and the surface mount units are also designed with heavy duty 3/8” diameter stainless steel terminal studs. All are available with stainless steel sems nuts. 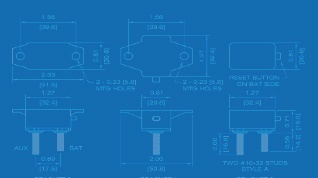 The termination stud spacing has been designed to accept standard ring terminal configurations. The MP 17 Series is designed as a drop in replacement for existing surface and panel mountable configurations in the market today. In addition, MP now offers the NEW Side-By-Side Surface Mount terminations and Easy Access 90° Panel Mount configurations to accommodate multiple breaker bus bar installations. Priced competitively, these high quality breakers, commonly known as high amp circuit breakers or hi amp circuit breakers, are assembled right here in the USA, with minimal lead time required. The new HIGHER AMP ratings, 225A thru 300A are an excellent complement to MP’s existing transportation product lineup including Series 18, 19, and 32 circuit breakers. For additional information on these and other high quality MP thermal circuit breakers used for overcurrent protection, visit Mechanical Products at www.mechprod.com. 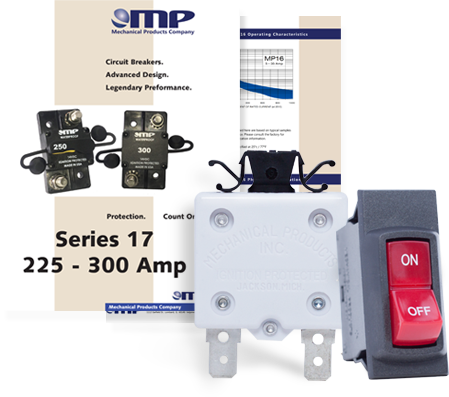 The Series 17 circuit breaker is available through MP’s authorized distribution partners. 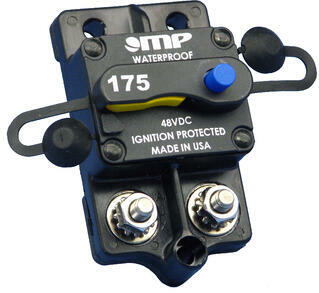 MP has been a leading supplier of thermal circuit protection since 1943. 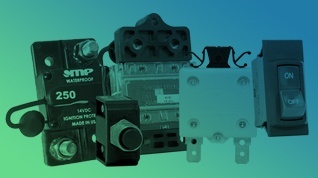 MP circuit breakers are used in thousands of commercial and industrial applications ranging from medical equipment, appliances, lighting, and communication devices, to recreational and off road vehicles/equipment, and electrical protection devices. MP has been management owned and operated since 1998, is headquartered in Lombard, Illinois and maintains manufacturing capabilities in the US and overseas. Receive updates on Mechanical Products and industry news and trends. Download the Circuit Breaker Selection Guide. Covering ratings of 0.5 – 300 amps, the selection guide is a summary overview of the Series of circuit breakers made by MP. For further details, the individual Series Data Sheets may be downloaded.